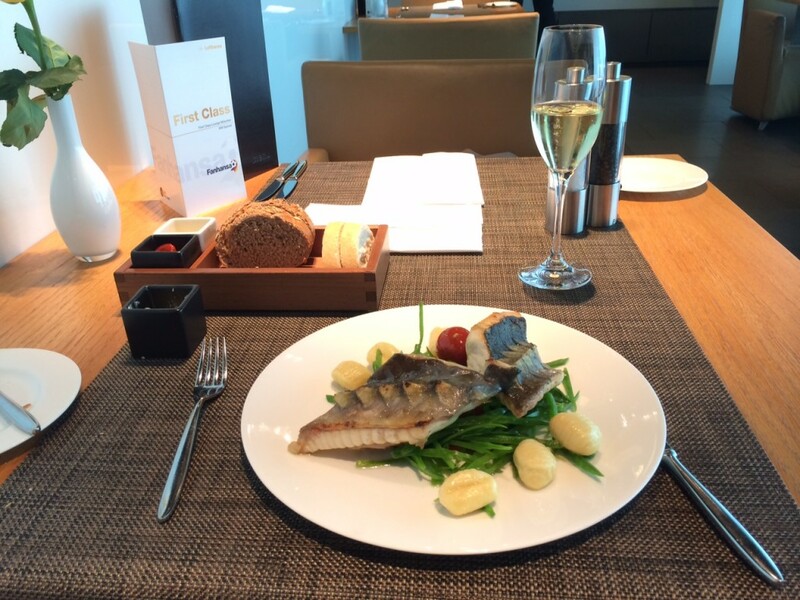 This is my review of the Lufthansa First Class lounge at Munich Airport. Lufthansa is an odd airline in many ways. There is nothing in the least bit exciting about its economy or business class offering – it is only in recent months that they have introduced fully flat beds in business. 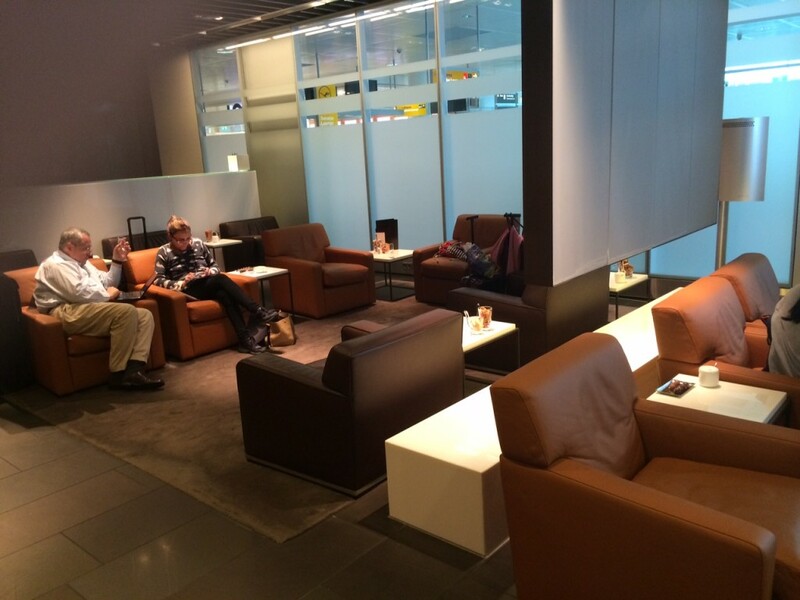 Their main lounges are also unexciting, albeit perfectly acceptable. Lufthansa’s other hub is Munich. With a smaller number of flights, there was no need for a stand-alone building. 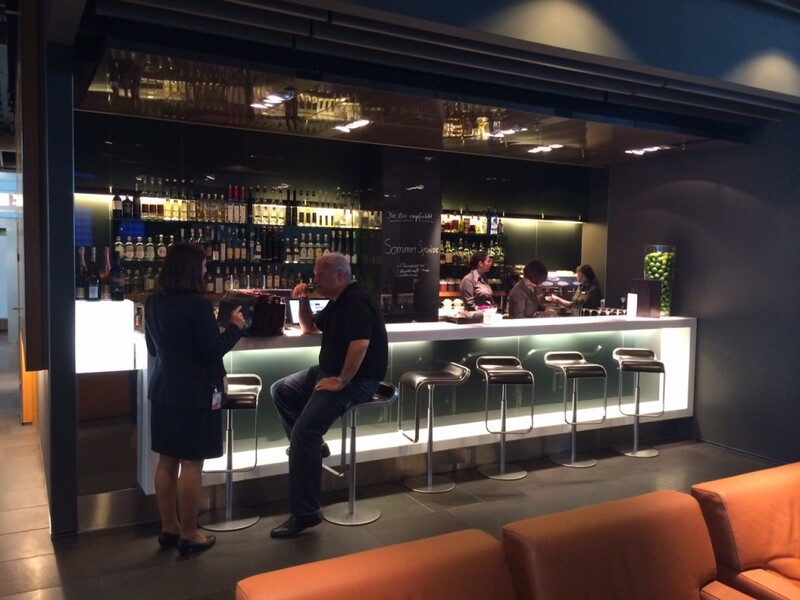 There is however a dedicated First Class lounge in the terminal. This is the equivalent of the Concorde Room at Heathrow. But why bother with the buffet when there is a full restaurant menu to choose from! This is the rather utilitarian general seating. There are also a few private offices if you want to work and some showers – but no spa. What you don’t get in Munich is any daylight as there are no external windows apart from into the corridor. To be honest, it is not as good as the Frankfurt First Class Terminal. Part of that is because it is not a self contained building, part of it is because it is a smaller lounge. The food also didn’t quite hit the spot. 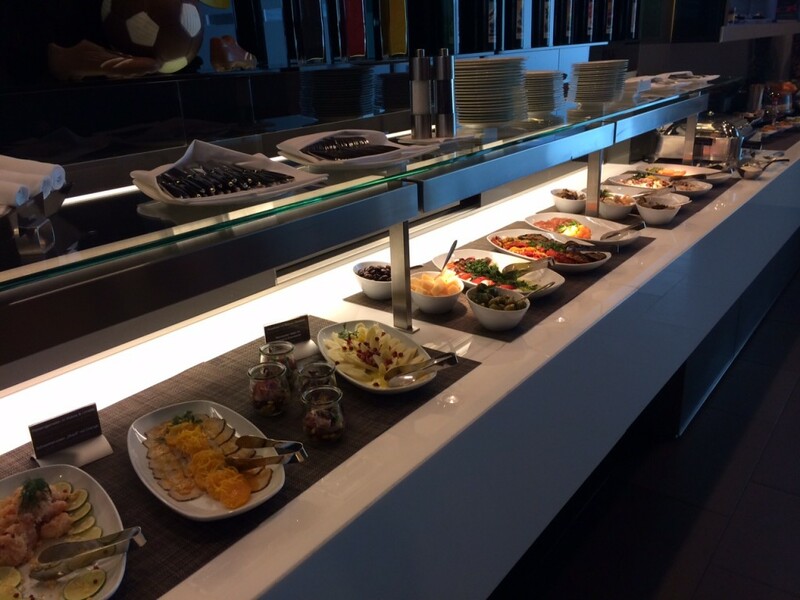 In Frankfurt last year, you really felt that everything you tried, either from the buffet or main menu, was ‘special’. 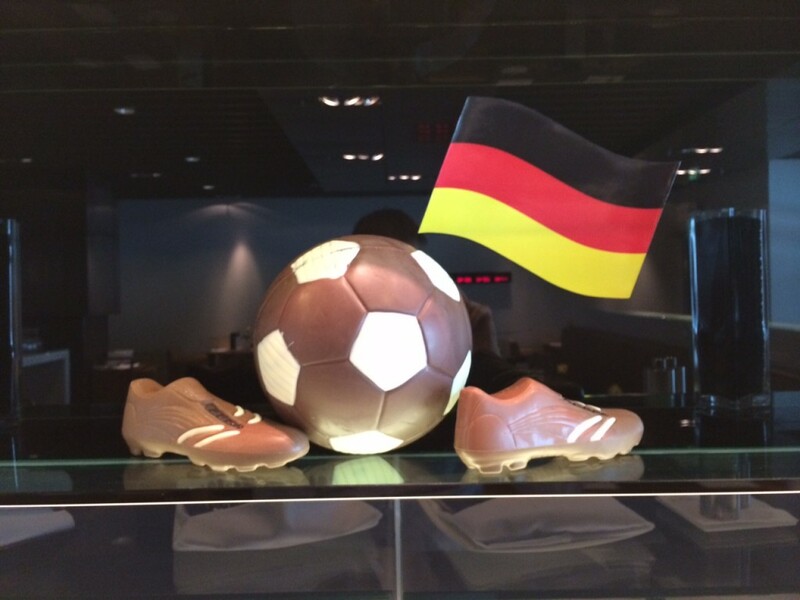 I didn’t get that feeling from the food in Munich. Initially I thought it was my fault – that my taste buds were having an off day – but when I tried the food on the plane an hour later it was great. There was one more odd thing. When you enter the lounge, your passport is taken from you. On leaving the lounge, you get your passport back from a dedicated border official who is based in an office in the lounge. However, when you leave the lounge (by the back door) you are deposited into the main departure area. I walked about a quarter of a mile to my gate where there was the usual passport check. So what was the point of the border control official in the lounge, and why did he want my passport for two hours?! Avios Recycling and Avios from BUPA deals gone? To check out the oligarchs? The two passport checks are for very different purposes. The first one is outbound passport control departing Germany. The second one at the gate is performed by the airline and is simply to check that you have the right entitlement to board a flight to the UK (passport or visa if applicable). 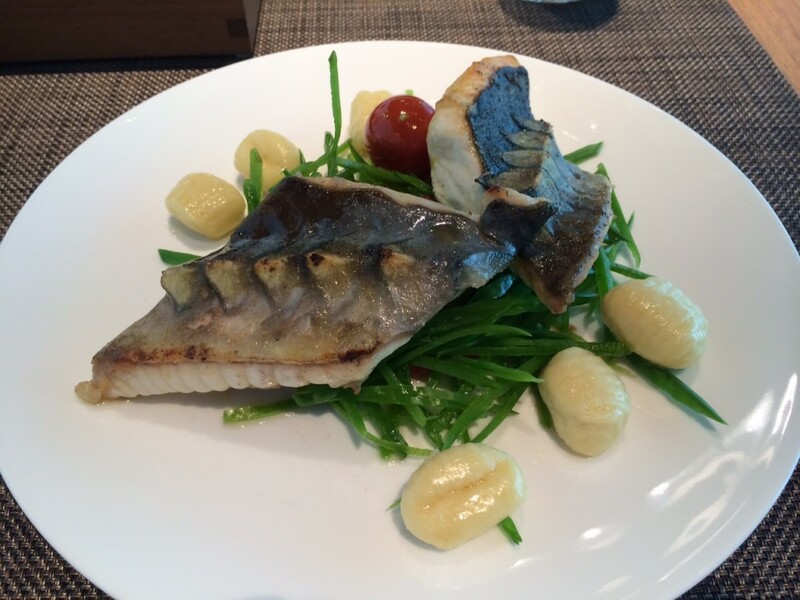 The food looks several classes better than what I got in the Concorde Room a couple of months back. As long as it is not too busy you will find it very nice. Food was excellent in the booths last time I was there and there were enough staff to keep the place looking smart. From the pictures above you will find the Concorde Lounge two levels above that. For my flight to Zurich I got the limo service from Munich. I think they do the immigration check for the limo service. The regular gate boarding is just a backup. I’m not sure how they select who gets to board how.